I love scones. 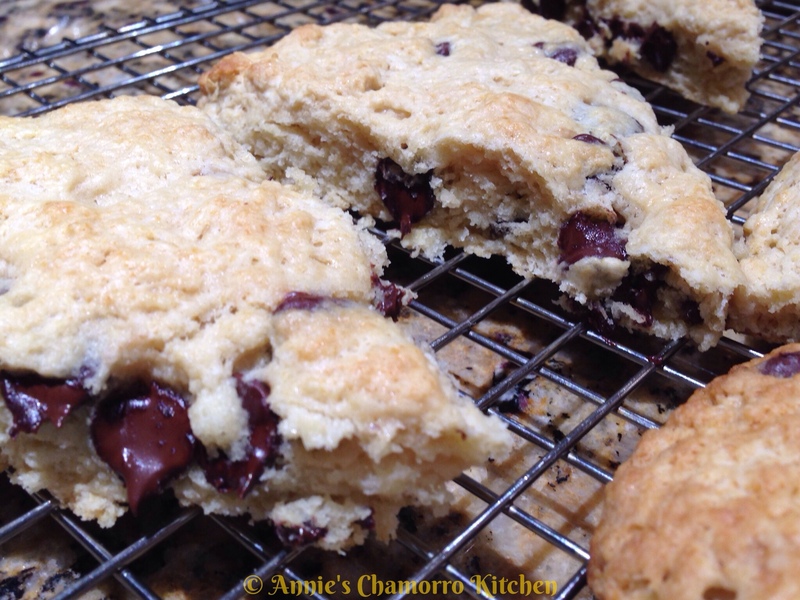 My favorites are chocolate chip or blueberry scones. 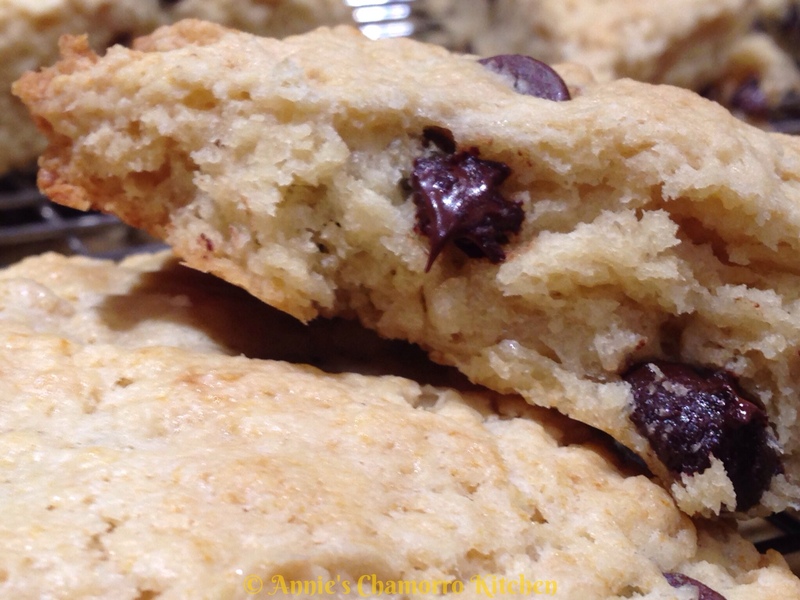 They’re perfect for breakfast, along with a steaming hot cup of coffee. You can buy really delicious scones at your neighborhood coffee shop, buy why waste your hard-earned money? 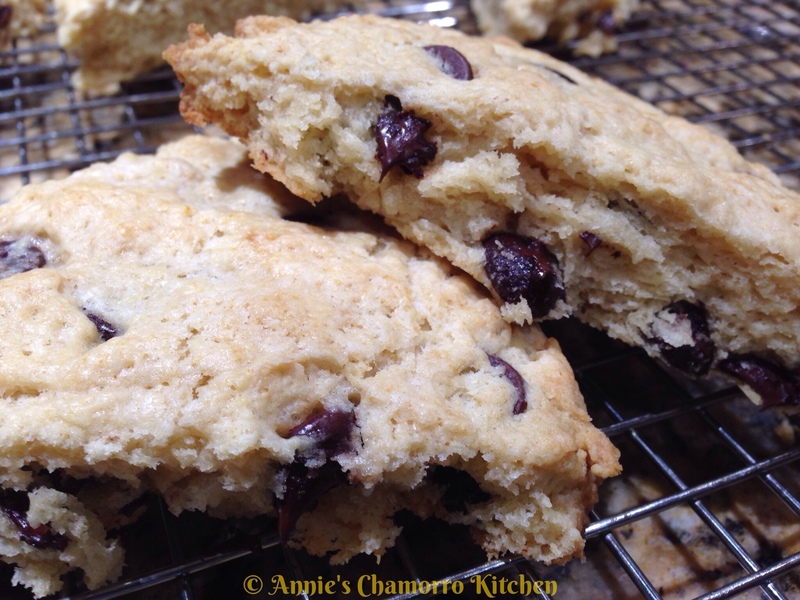 These scones take almost no time to make. 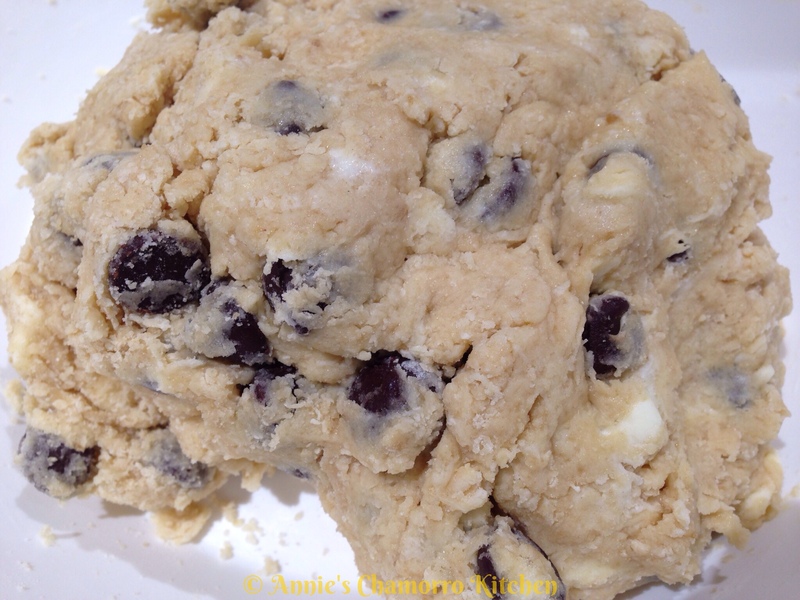 You can mix up a batch in just a few minutes and have them out of the oven in no time. 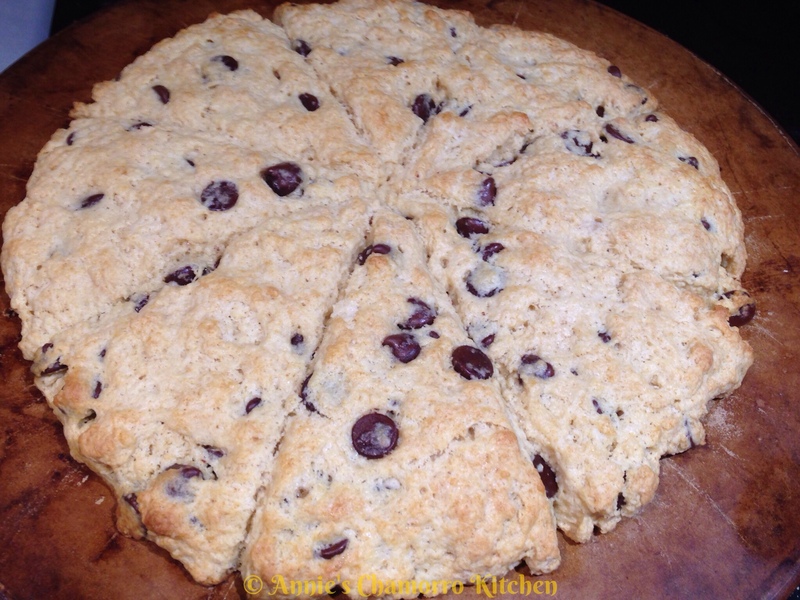 My recipe below turns out very moist and not-too-crumbly scones. 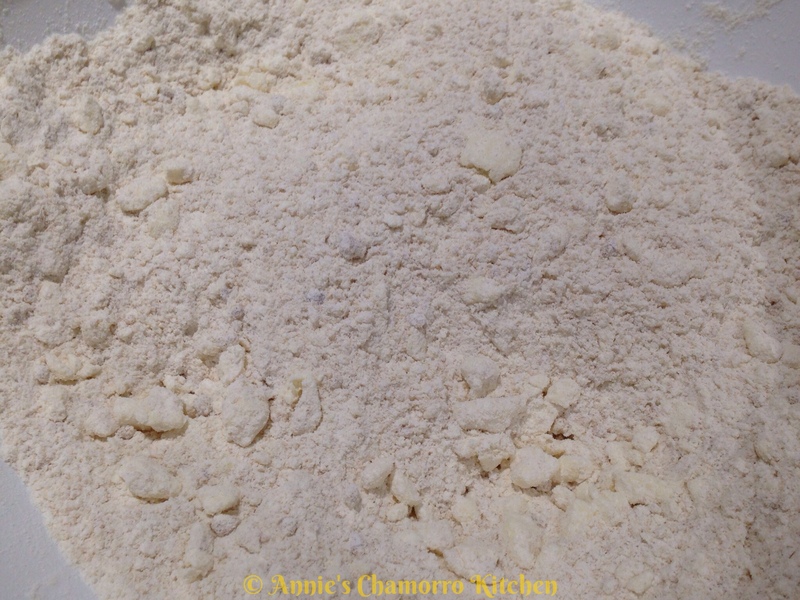 If you can’t find powdered buttermilk, you can use fresh (liquid) buttermilk in place of the buttermilk powder and water in my recipe. Just add the buttermilk along with the eggs and extracts, as described in the directions below. 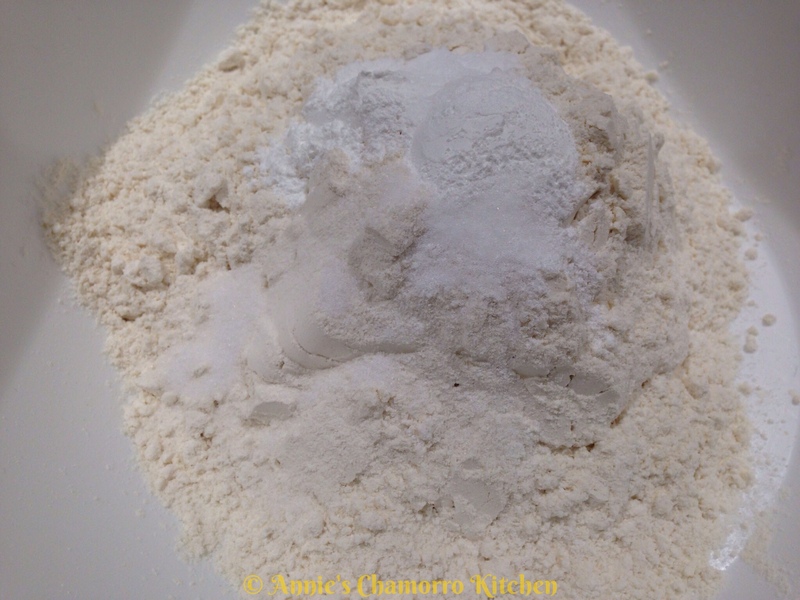 Place the flour into a large mixing bowl. 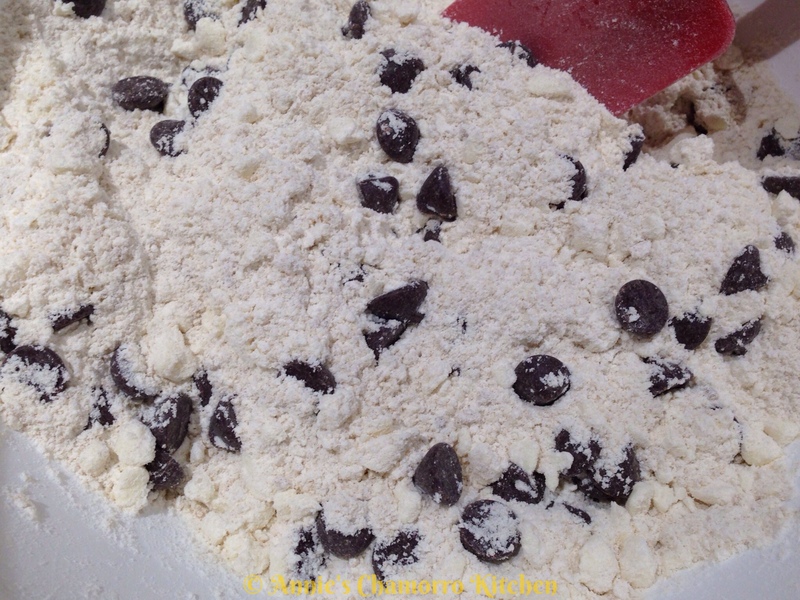 Add the baking powder, baking soda and salt to the mixing bowl. Add the brown sugar to the bowl. 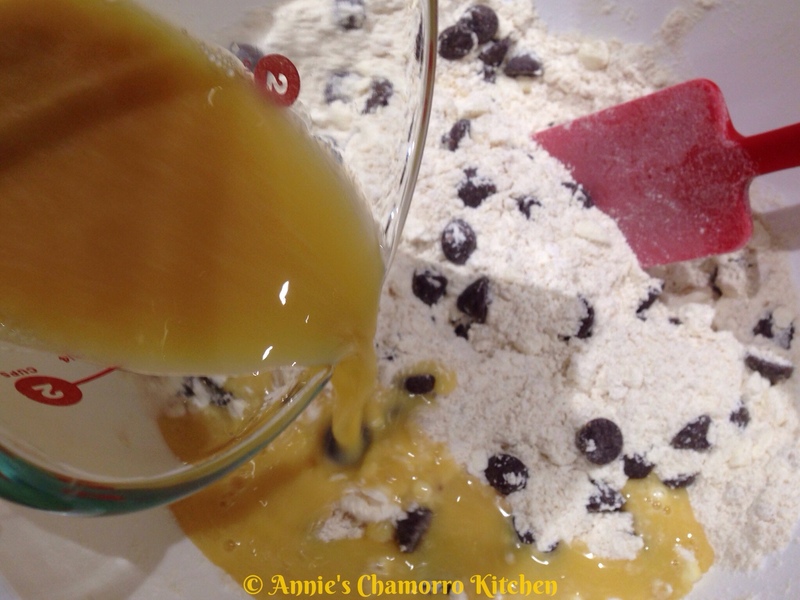 Stir the mixture to combine all of the ingredients. 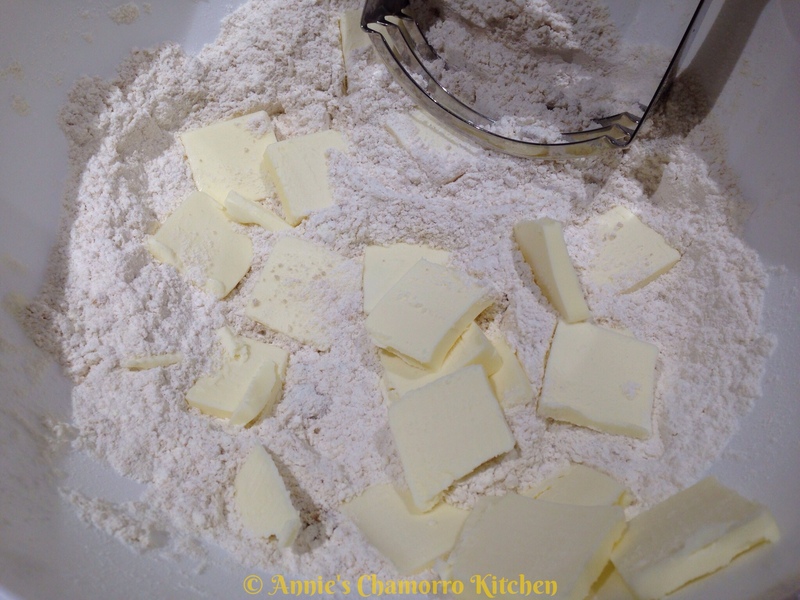 Add the pieces of butter to the flour mixture. 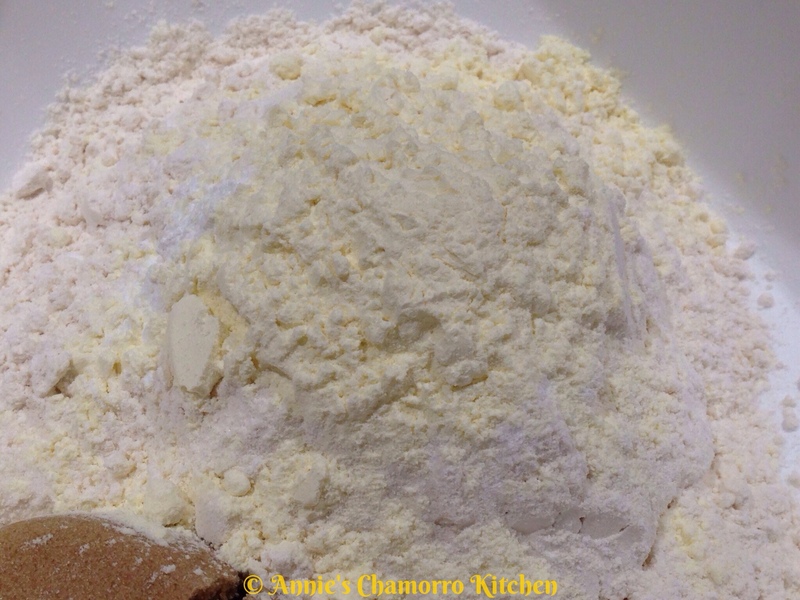 Using a pastry blender (the tool pictured at the top of the photo below), “cut” the butter into the flour. 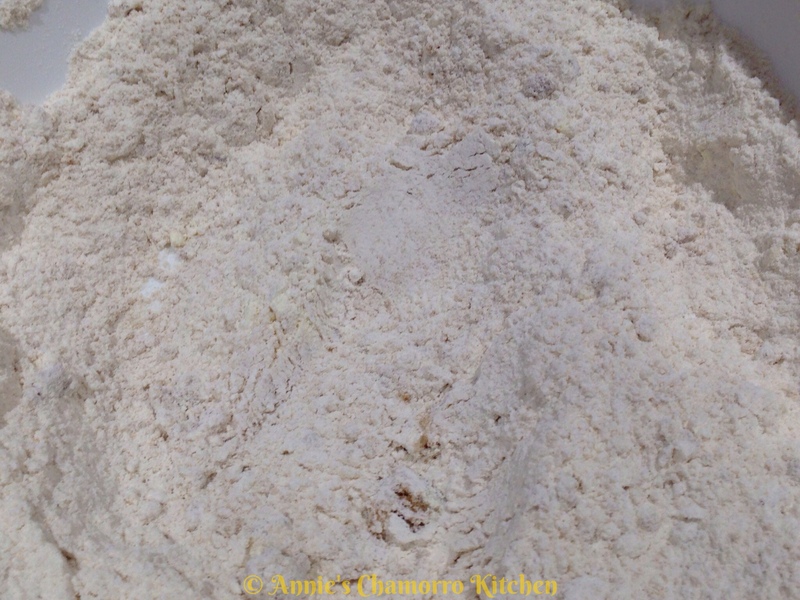 This is what the mixture looks like after cutting the butter into the flour. 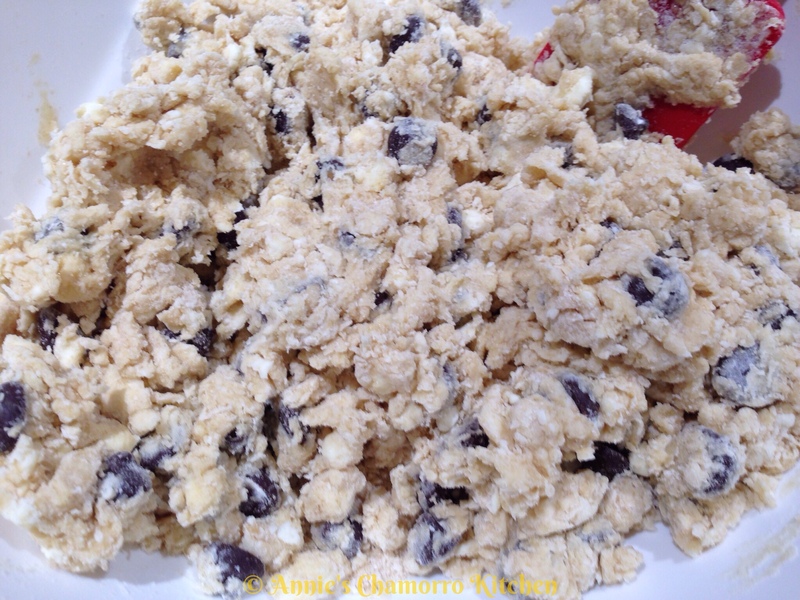 You want to see small chunks of butter in the mixture. 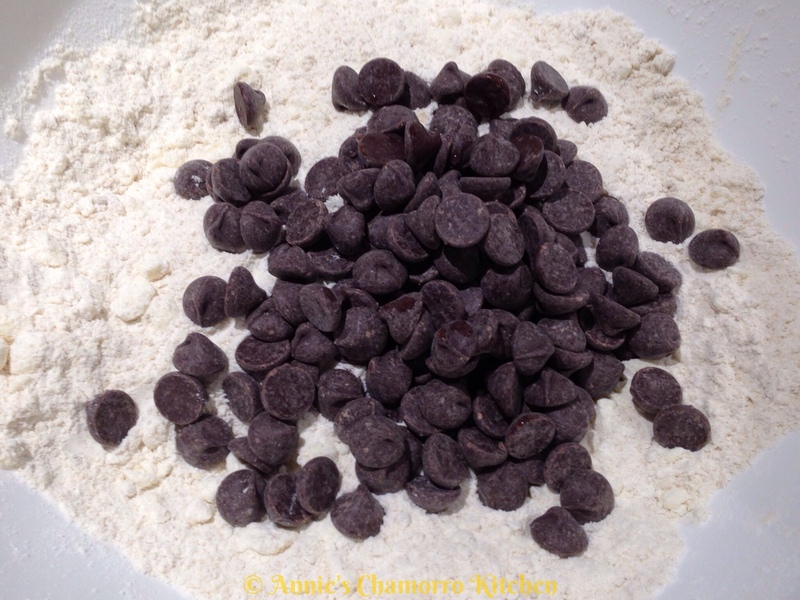 Add the chocolate chips to the flour mixture. Stir to combine. Set this aside for now. 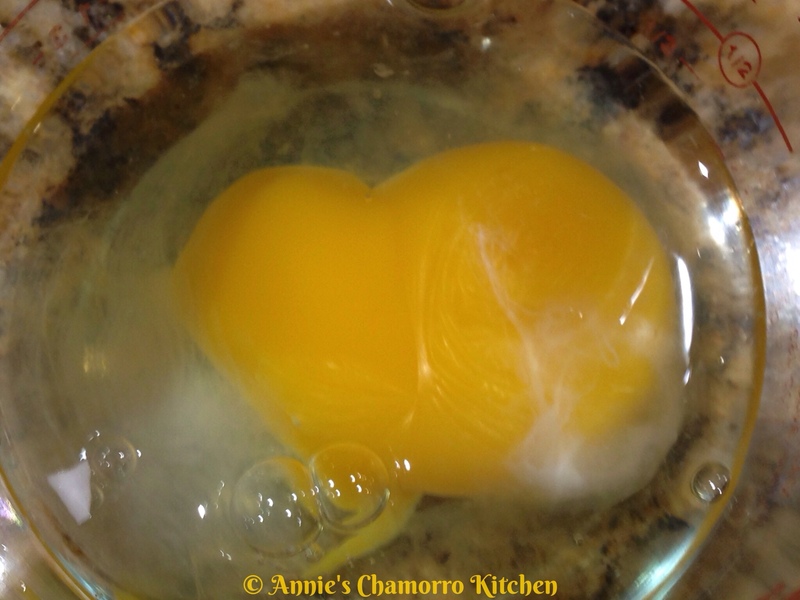 Crack the egg into a small mixing bowl. 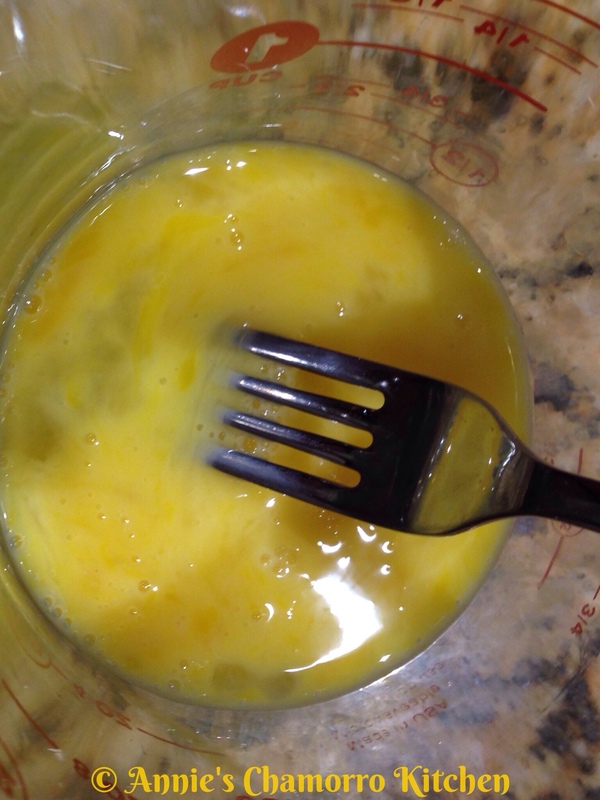 Lightly beat the egg with a fork. 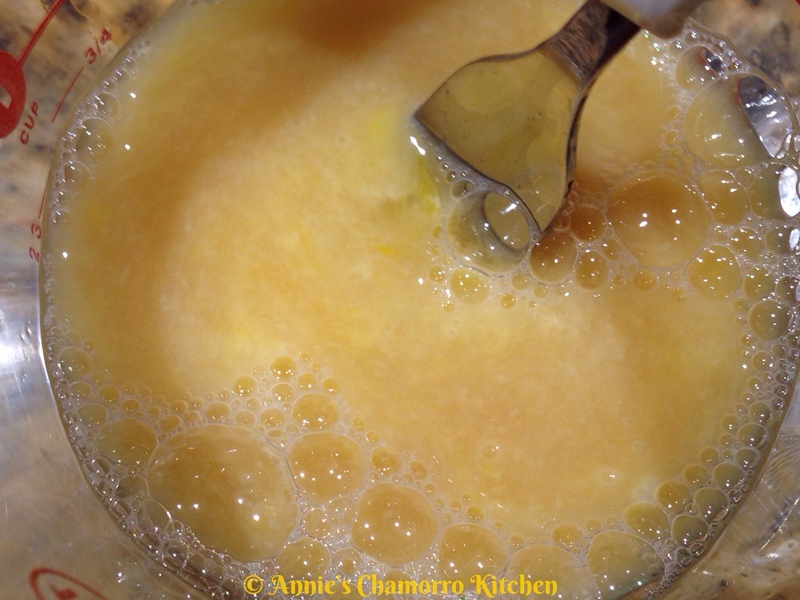 Mix the water, vanilla and almond extract with the beaten egg. Use a spatula to mix the ingredients together. Gently fold the mixture until it comes together. 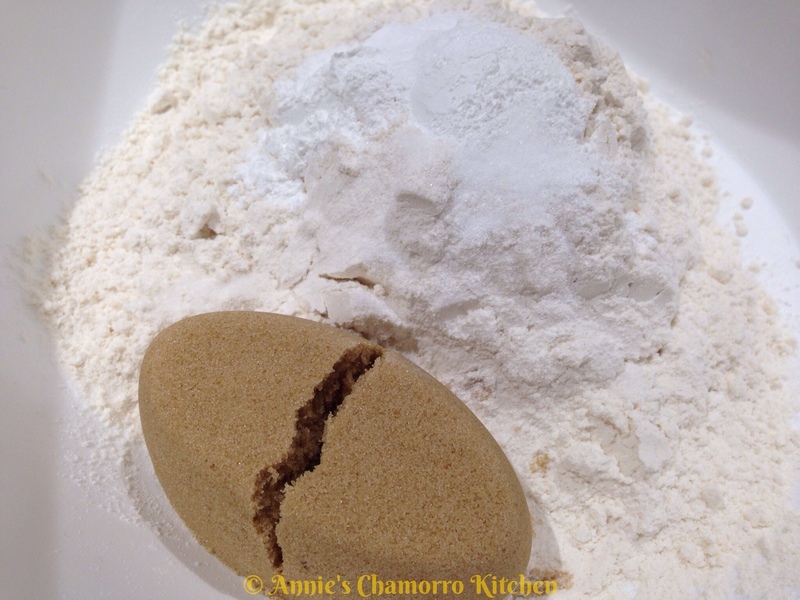 Using your impeccably clean hands, form the mixture into a large ball. 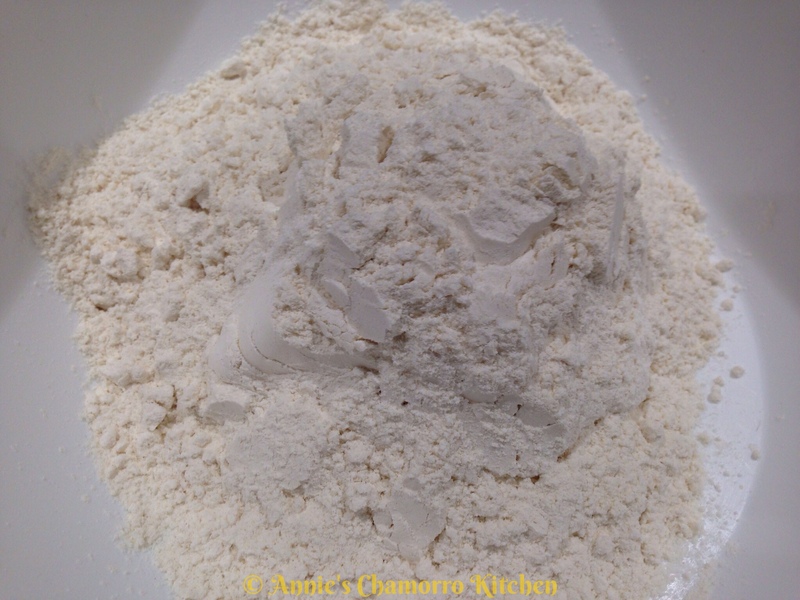 Do not knead or over mix. You still want to see those little chunks of butter (see the photo below). 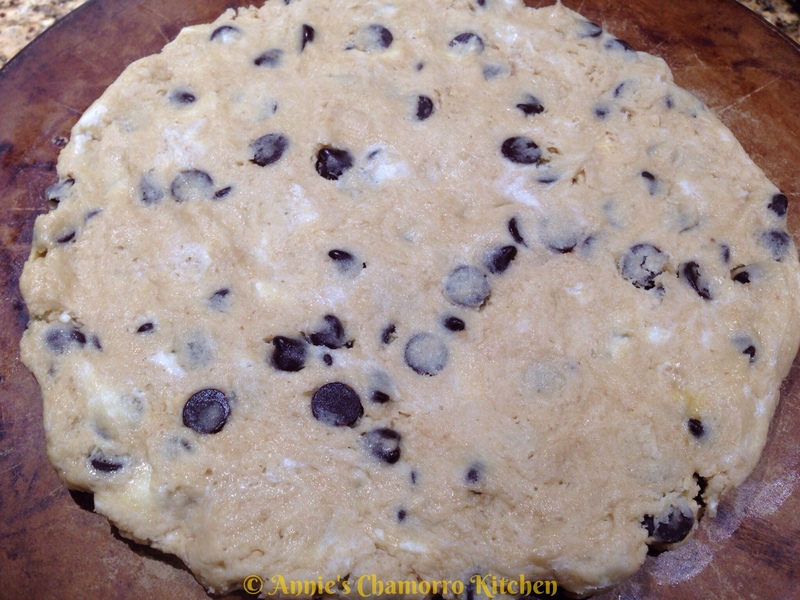 Place the dough onto a large cookie sheet (I used a round baking stone). 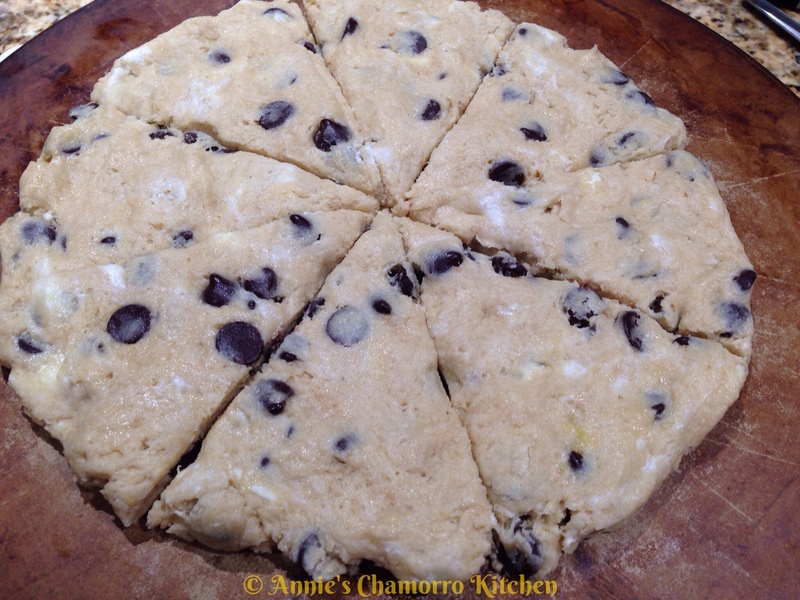 Gently flatten the dough into a circle, about 10 inches in diameter, and about 1 1/2 inches thick. Use a knife or dough cutter to slice the dough into eight wedges. 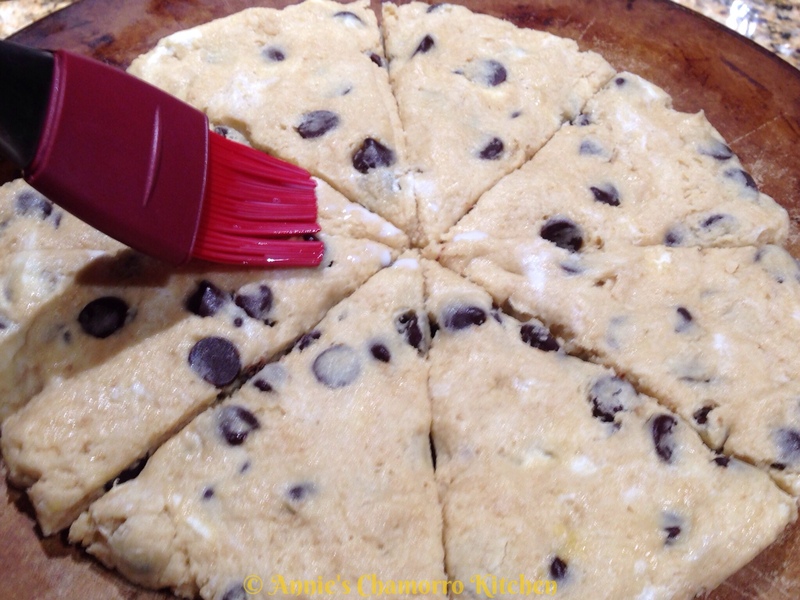 Brush the top of the dough with milk. Bake at 425 degrees for 15 minutes, or until golden brown on top. 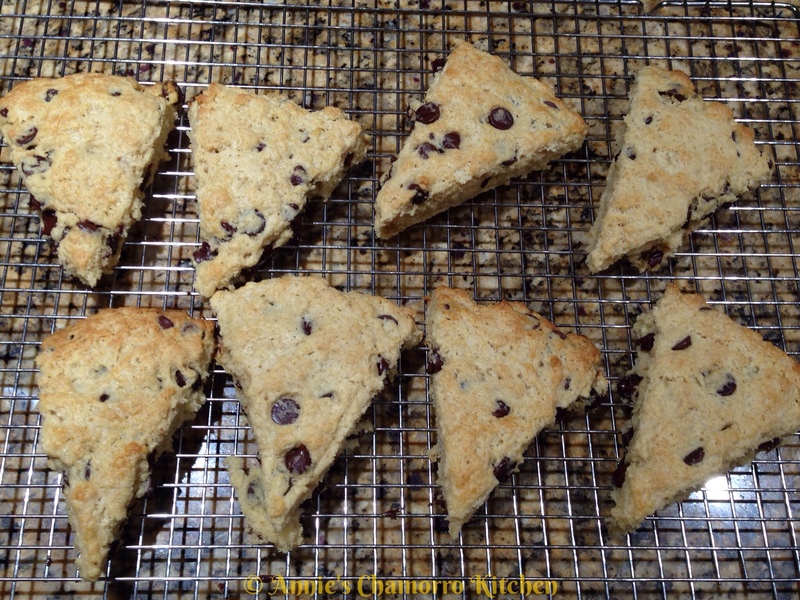 Let the scones cool on the pan for a couple of minutes then remove them to a wire rack to continue cooling. Serve for breakfast, as a snack, or alongside your favorite warm beverage and ENJOY! Finally made these, Annie. I added a touch too much water, and made them a little too thick. But as Jack said: “Oh my god, these are amazing! !” Going into my binder of favorites. Thanks! Thanks for the update, Christine! Glad it’s now in your collection of favorites. :D. Please thank Jack for me too. Annie, these look delicious. Can’t wait to try! I keep looking for a “Print” button on your pages, so I can move it around with me in the kitchen, with out having to use all my ink on the (yummy looking and helpful) photos. Is there something I’m missing? By the way, let me know how the scones turn out for you. That’s terrific, Annie. Thanks! Pulling it up now so I have it for the weekend.